The first amendments to Republic Act 9189, otherwise known as Overseas Absentee Voting (OAV) Act of 2003, were adopted by the 15th Congress of the Philippines. It was a much celebrated achievement for overseas Filipinos and migrant advocates alike. After 10 years since the law's passage, improvements have been adopted to allow overseas Filipinos to more easily engage in the country's political processes while abroad. With nearly 11 million overseas Filipinos (OFs) remitting an estimated US$20 billion plus annually, this underrepresented voting population deserves to be heard and valued in the shaping of the country's socio-cultural, economic and political affairs. The amendments are beneficial as they remove some of the obstacles which had been keeping OFs from registering and/or voting. The Commission on Elections (COMELEC) revealed that only 26% of OAV registrants voted in 2010. The number of registrants has increased for the forthcoming national elections in May 2013 and a significant boost in voter turnout is anticipated for the 2016 presidential elections at which time the provisions of the act will have been fully implemented. Perhaps the most salient of amendments contained in the bill is the removal of Section 5d, which disqualifies Filipino immigrants and permanent residents from the exercise of suffrage through RA9189; unless they execute an affidavit declaring intent to return and resume physical actual residency in the Philippines no later than 3 years from the time of his or her approval of OAV registration. This provision had been among the most scrutinized and its removal is expected to greatly improve OFWs access to suffrage. Other notable amendments include the creation of Resident Election Registration Boards (RERB) in Manila and various other foreign posts to process, approve and disapprove all applications of registration including cancellation, activation and deactivation. It also institutionalizes the creation of the Department of Foreign Affairs (DFA) OAV Secretariat and allows for the creation of a more stable Office for Overseas Voting in the COMELEC to replace the current Committee on OAV (COAV) in the COMELEC. Lastly, the removal of the word 'absentee' from the Act's title, renaming the short title as “Overseas Voting Act” of 2013 creates a broader inclusion of those who qualify to vote under the law. Senator Aquilino Pimentel, Jr., chair of the Senate Committee on Electoral Reforms and Peoples Participation, attests that "the amended OAV removes the documentary requirements that keep our citizens at arm's length from the ballot box, and seeks to create a more permanent mechanism to promote a more efficient and effective electoral process for Filipinos abroad." It is noteworthy to share that there is also a proposal to authorize the COMELEC “to explore and adopt other more efficient, reliable and secure modes or systems, ensuring the secrecy and sanctity of the entire process, whether paper-based or electronic-based technology or such other latest technology available, for onsite and remote registration and elections.” The proposal was put forward in consideration of the peculiarities attendant to the OV processes for voters who are spread out in more than 214 countries and destinations around the globe. 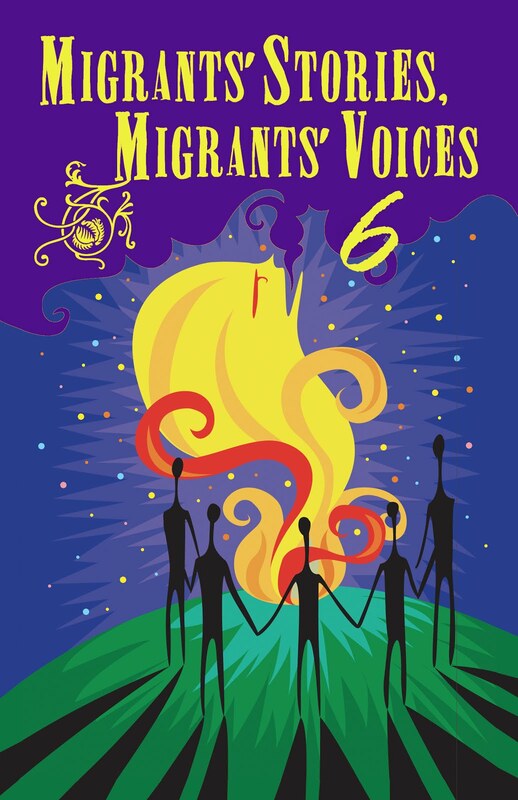 Added to this is the fact that there is also a significant number – among women migrants, undocumented migrants, and seafarers, in particular– who may have limited mobility and access to voting due to their job categories or immigration status. The other context of course is the fact that we only have less than a hundred embassies and consulates that can serve as voting centers for overseas Filipinos. For the moment, however, Congress approved only the part where the COMELEC can explore and submit reports and recommendations, but not to have the authority to adopt. Notwithstanding deferment on this, the challenge remains for stakeholders to continue exploring effective stable systems for broader enfranchisement. The bill is expected to be transmitted soon to the Office of the President for his signature once all the required signatures in both chambers of Congress shall have been completed . In the meantime, preparations are almost completed for the start of the month-long mid-term national elections where qualified overseas voters will vote for 12 Senators and one (1) Party-list Representative one month ahead of voting in the Philippines. In terms of qualified overseas voters, the number of new registrants reached 398,554, which exceeded all prior new registration numbers. Combined with the list of existing voters, a total of 988,384 registered OVs for this voting period. Although shy of the one million target set by the DFA and the COMELEC, Senator Pimentel expressed confidence that once the amended OAV is enacted, the one million mark goal will be far exceeded. In January of this year, the COMELEC ordered the removal of 238,557 OVs who failed to vote in the past two elections and who failed to notify COMELEC of their intent to vote for this year's elections. Upon calls from migrant advocates and voiced disapproval from the OF community of such action, the COMELEC en banc reinstated their rights to suffrage for the upcoming elections. The reinstated voters, however, must be able to show a manifestation of their intent to vote by appearing at their designated voting stations within the voting period. Modes of voting will also be expanded this elections. The automated election system (AES) is expanded to seven posts, from the current two, in the 2010 elections. To join Hong Kong and Singapore with AES mode of voting are the posts in Abu Dhabi and Dubai in the UAE, Riyadh and Jeddah in Saudi Arabia, and Kuwait. Postal and modified postal as well as personal voting will also be implemented in the rest of the posts around the globe. As in previous electoral exercises, seafarers may vote at any posts conducting personal voting or by postal voting in places where international ports are duly identified as such by the DFA-OAVS. The amendments adopted by Congress are big steps forward in terms of improving the legal mechanism for the exercise of suffrage by overseas Filipinos. The increase in registration is also a notable positive step forward. However, a lot remains to be done as overseas Filipinos continue to assert their right to participate in the country's political and electoral exercises and be part of the shaping of the country's future. 1 Last 1 April 2013, the Senate transmitted the amendatory bill to the House of Representatives for the last required signature of the Speaker of the House. Then it is ready for transmittal to the Office of the President.